I am working on another book; this one will be about patterns. That means I need to learn about how people learn about patterns, and that means going to school. So yesterday I packed a collection of images and asked 3rd, 4th, and 5th graders what patterns they saw. Turtles are based on a Jos Leys and Kevin Lee image. The basket is on display at the Museum of Fine Arts in Boston. Of course they blew me away. Perhaps a favorite moment was when a fifth grader told me that each turtle made space for another turtle, and that also each turtle needed the other turtles to make space for it. Across the images, these students saw repeating and growing patterns. They saw patterns involving shapes, colors, numbers, and combinations of all of these. Then report back. Let’s learn together. In the meantime, you should know that a new version of Which One Doesn’t Belong? came out this week. 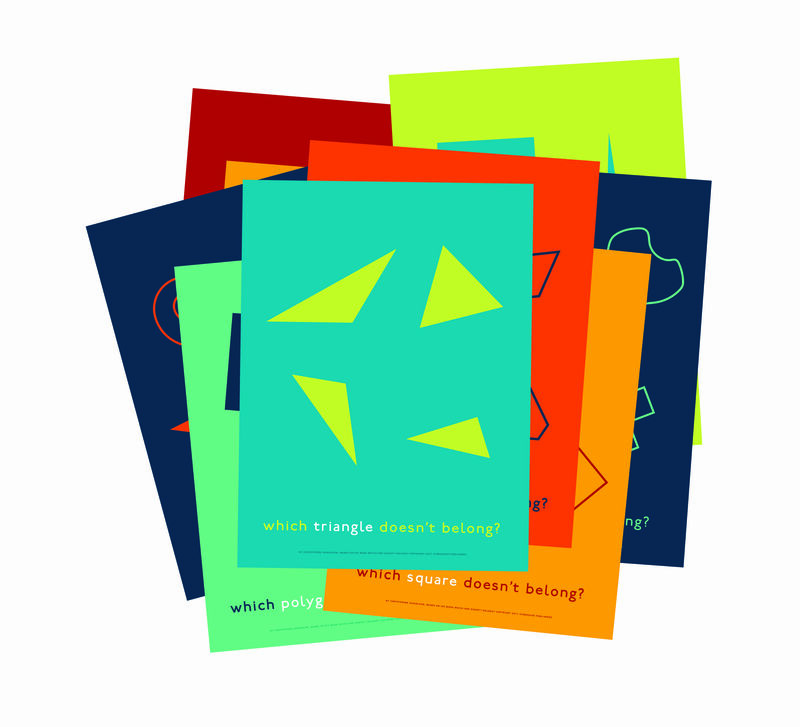 Same shapes as the original, new book design, new colors, and a few new words. Importantly, this is the first in a series of collaborations between Charlesbridge and Stenhouse by which a home version of each Stenhouse book is issued by Charlesbridge about a year after first publication. Look for it (or even better…ASK for it) at your favorite bookseller.